We can find some of the most pristine nature around the world in Biosphere Reserves and Wilderness. Management styles and main attributes can differ between the two different designations, but there are also links between. UNESCO has designated many Biosphere Reserves around the world, that you can visit. You can also find Wilderness around the world, and in Europe some of these form the European Wilderness Network. A Biosphere Reserve is an area with different ecosystems, which promotes solutions for biodiversity conservation with sustainable use of the area. They are special places where park management combines social and ecological systems together – this can include conflict prevention and management of biodiversity. There are currently 669 biosphere reserves in 120 countries, including the Lungau Biosphere Reserve where the European Wilderness Society main office is based. Transition area – surrounds or adjoins the core areas, where people conduct activities such as scientific research, monitoring, training and education. Development area – where the management allows the majority of activities, which fosters sustainable economic and human development. Even in this area a more sustainable use is the main objective. 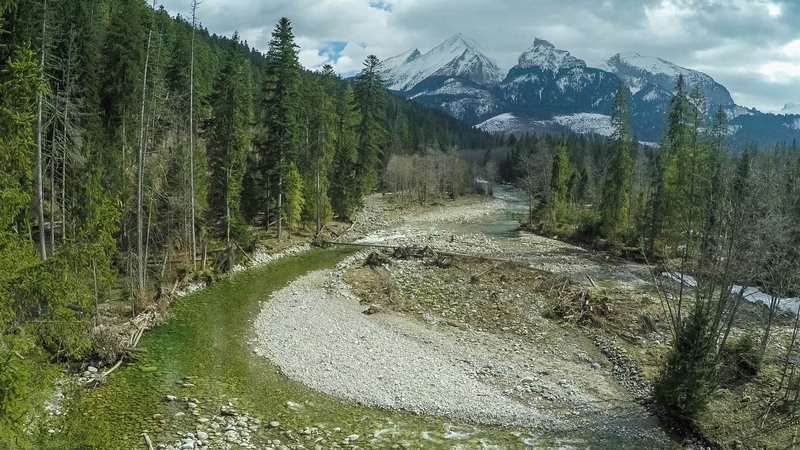 Wilderness is a vital part of Europe’s natural heritage, which promotes solutions for biodiversity conservation connected to the natural dynamic processes. These processes can be abiotic, such as fire, avalanches, climate, or biotic, such as animals, habitats, nutrients. The Wilderness must be unmodified or only slightly modified by humans. We call Wilderness self-willed land, because we allow nature to develop on its own. Wilderness zone – where there is no human intervention and natural dynamic processes govern. Such a Wilderness is most likely to be found in a biosphere reserves core zone. Restoration zone – where restoration and/or expansion is undertaken. Transition area – where further expansion of the Wilderness is planned. Archipealgo Wilderness – Archipelago National Park, Finland. Central Balkan Wilderness (specifically Steneto, Tsaritchina or Djendema areas) – Central Balkan National Park, Bulgaria. Retezat Wilderness – Retezat National Park, Romania. Uholka Shyrokyy Luh Wilderness – Carpathian Biosphere Reserve, Ukraine. The European Wilderness Society also has areas that in the future could become members of the European Wilderness Network, which are currently in Biosphere Reserves. These include areas in the Velebit Mountain Nature Park, Croatia, Tatra National Park, Slovakia, or in the Bavarian Forest National Park, Germany. Not every Biosphere Reserve has a Wilderness in its core zone, and not every Wilderness is within a Biosphere Reserve, but it is possible for the two designations to coexist. These both provide important benefits to society.